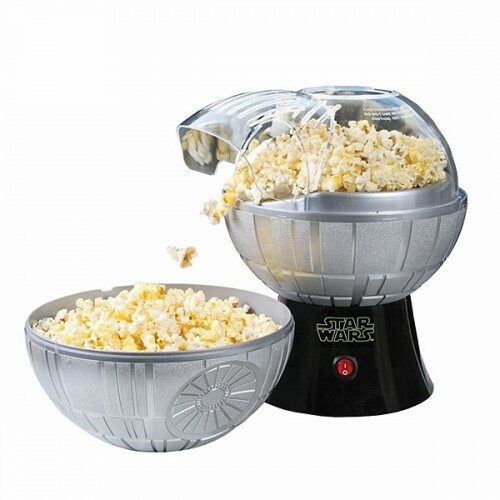 …it’s the sound of delicious kernels erupting, in your new Death Star Popcorn Popper! You know, they’re promo’ing this thing as being great because it pops your popcorn without oil, but honestly, they had me at Death Star. This one’s a must-have if you or someone you know is a Star Wars Fan. It not only makes Jedi Movie Marathons better, it just makes life complete. Hahaha – Come to the dark side, we have popcorn.